It was the year 1957. The artists of Czechoslovakia were oppressed by the communist regime and the situation seemed hopeless. But then, lo! In a heart of Prague, first jazz club in the whole Central Europe has been founded. But it wasn't only a place for free, talented musicians. Reduta has been one of the first experimental theatres, starting a revolution in European acting methods. And after performances, dissidents and crusaders for free country has been meeting in the club, discussing and planing until dawn. The security service has taken strong actions against them, but Reduta and its faithful continued until the fall of communist dictatorship. The golden era of Reduta has started after year 1989 - new owner, music enthusiast and philantropist, has decided to open the club to the world. In 1994, the U.S. president Bill Clinton met with Czech president Václav Havel, and many more significant politicians, businessmen and stars have chosen to reach the beauty of Reduta. Today, the place is not only number one jazz venue, but also a famous place and beautiful cultural monument, where presidents meet with stars. Under the authority of Pragokoncert, first and leading Czech art agency, the club has also hosted prestigious International Jazz Festival Praha, one of the oldest and greatest in Europe. Stars like Louis Armstrong, Ronnie Scott, Acker Bilk, Chris Barber, Aki Takase, Cecil Taylor, Wynton Marsalis or B. B. King have been performing in Prague during the festival, and after their shows, all of them headed for Reduta. Their jam sessions and unformal meetings with Czech artists were legendary from the very beginning of the festival. 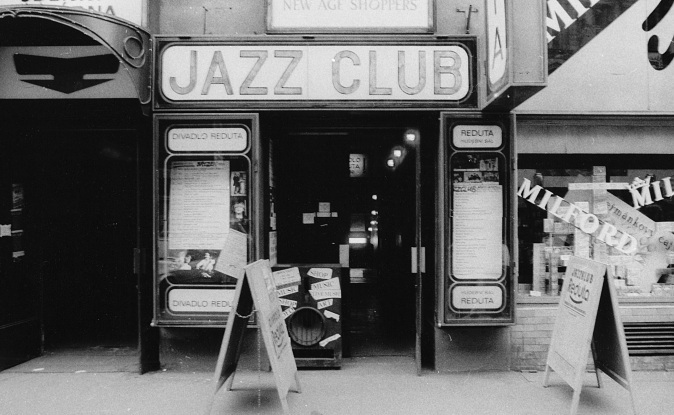 The club that has been announced to be one of the TOP 10 European jazz clubs, according to The Guardian magazine, has many others hidden miracles. Perfect acoustic, VIP clientele, best artists of many genres, from blues, dixieland or latin to traditional jazz. You can simply enjoy the concert in a place of delightful atmosphere, drink a beer in our bar right from the saxophone, or speak with one of the many eminent persons that visit Reduta regularly. And remember - Reduta is not only club. It's a style of life.